TAMAR Saracens will replay their opening Devon One game against New Cross at Kingsteignton on Saturday. The original match last month had to be abandoned before half-time after mass fighting broke out involving players from both teams and spectators. Both clubs had to appear in front of a disciplinary panel and were handed a suspended five-point deduction and the match was ordered to be replayed. Tamar Saracens coach Chey Bryce says his team have put what happened in the past, but admits it will be a strange scenario this weekend. “We have forgotten about it,” said Bryce. “But I think Devon RFU are going to be watching on Saturday. They did say in the hearing that they would be watching. “So the atmosphere could be a bit weird. Will every big hit be seen as the wrong thing to do? Tamar Saracens need a win as they are currently bottom of the table, having started the season on minus five points for failing to fulfil a fixture towards the end of last season. Although they have only played two games, Saracens know if a league with only 14 matches, they cannot afford to lose too much ground early on. “I said to the boys this week, before we know it this league is going to be over,” said Bryce. “We could easily be in a relegation battle before we know it. Saracens are boosted by the return of the likes of Steve Hodge, Mike Cox, Tom Hicklin and Scott Sheldon. 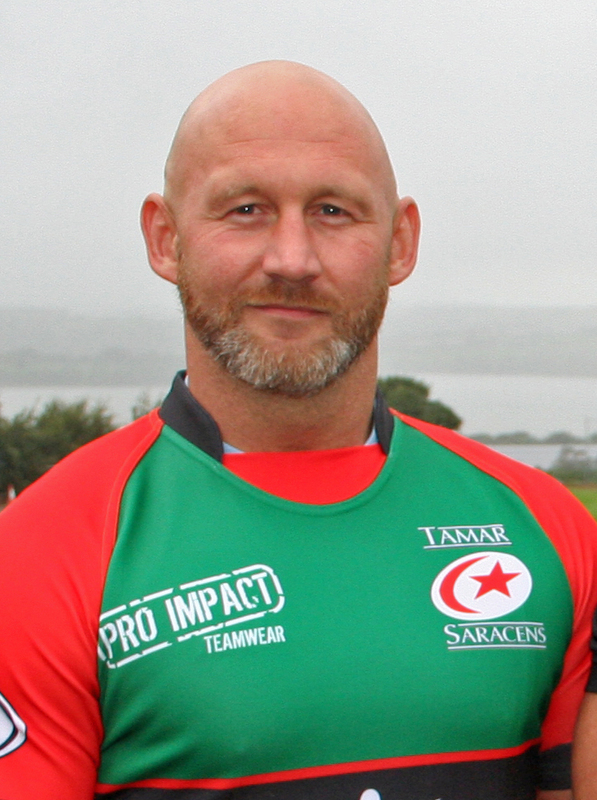 Experienced centre Hodge (pictured) has been away with the England Deaf team. He helped the national side to a series win over New Zealand. “He could make a difference in our backline,” admitted Bryce. Meanwhile, in Devon Two, DHSOB are due to host Buckfastleigh at Stonehouse Creek. The match was postponed last weekend after the council put the pitch out of bounds. DHSOB had a side ready to play last week, but now have to find one for this weekend. Their colts are also in action at home. They are due to kick-off at 2pm with the first team at 2.30pm. 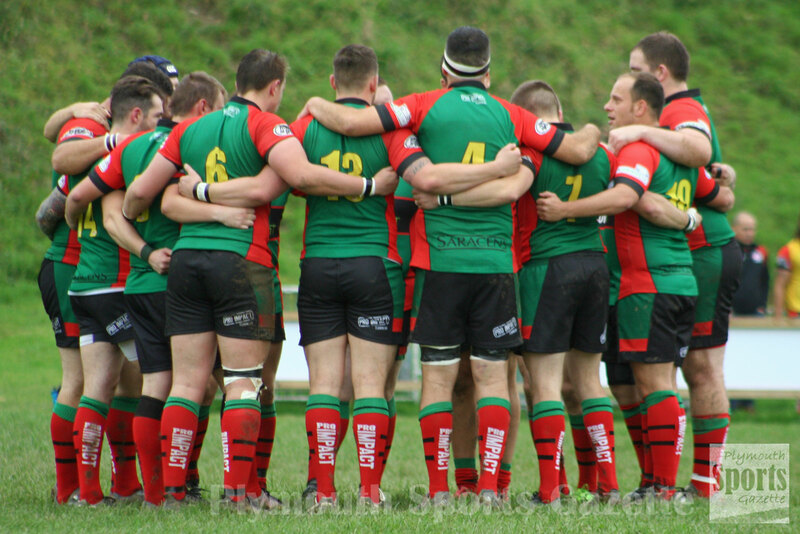 Elsewhere, Tavistock will be looking to reach the final of the Devon Intermediate Shield this weekend when they host league rivals Honiton in a semi-final at Sandy Park. The sides have yet to meet in the league – that game in scheduled for December 4 – but Tavistock will be expecting a tough test with Honiton sitting fourth in the table after 10 matches. Tavistock, though, have a 100 per cent record at home this term and would love to continue that in the cup and book a spot in the final against either Withycombe or Plymstock Albion Oaks. Tavistock are missing a number of players, including Mark Friend, Ben Hadfield, Charlie Charlton, Phil Wilson and coach Hammy Kerswill. However, they are able to welcome back Ryan Bragg, Dylan Penberthy and Josh Langton. They are also set to hand debuts to prop Lee Mills and Will Trembath, while Will Gardner and Chris Watts could make first appearances off the bench. In the Lockie Cup, Plymouth Argaum have pulled out of their match against Saltash that should have been played at Moorlands Lane on Saturday.